Stuart Comer is chief curator of media and performance at the Museum of Modern Art in New York. He is co-organizing a Bruce Conner retrospective at MoMA and a Mark Leckey survey at MoMA PS1, both of which will open in 2016. Comer recently spoke with A.i.A. about 10 of New York’s most noteworthy spaces, exhibitions and projects in 2015. 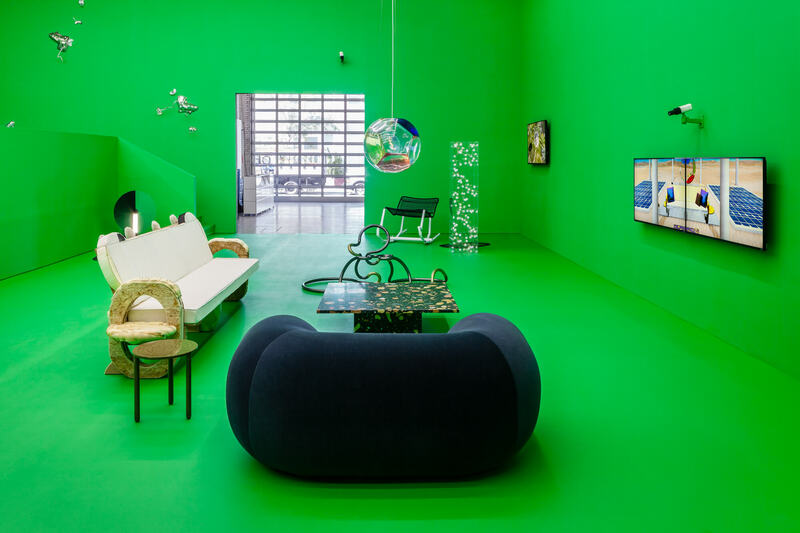 Last year the Swiss Institute launched the inaugural edition of its Annual Design Series with the wonderful “Fin de Siècle,” an exhibition curated by the Greek-Norwegian architect Andreas Angelidakis in homage to Eugène Ionesco’s 1952 play The Chairs. This year the second edition, curated by Felix Burrichter, suggests that the series will continue to be an unmissable affair. Burrichter is best known as the founding editor of the clever and irreverent design magazine PIN-UP. Riffing on Le Corbusier’s controversial Pavillon de l’Esprit Nouveau at the 1925 Paris Exposition des Arts Décoratifs, this survey of innovation in contemporary furniture design posed as a conceptual show home for the 21st century. Works by over 30 international designers and artists working with new technologies and production methods were organized in a range of domestic settings. Immersed in a green screen environment, visitors were instantaneously rendered within these settings on surrounding flat-screen televisions. The show was a cunning suggestion that the precarious confluence of surveillance and entertainment has radically transformed the sanctity of domestic space.